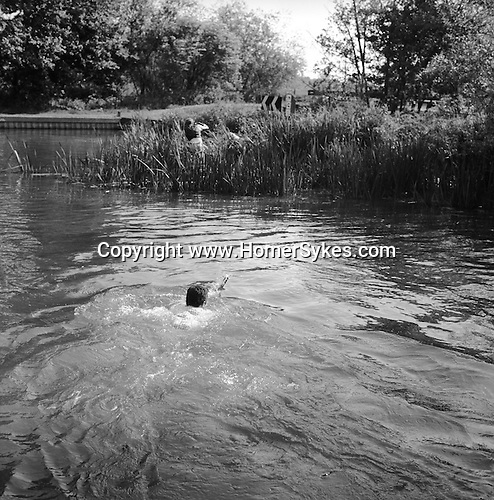 The Valley Minkhounds..Whipper-in, Simon Haines, swims across the river Kennet following the hounds who are in pursuit of their quarry. Near Aldermaston, Berkshire. ..Hunting with Hounds / Mansion Editions (isbn 0-9542233-1-4) copyright Homer Sykes. +44 (0) 20-8542-7083. < www.mansioneditions.com >..